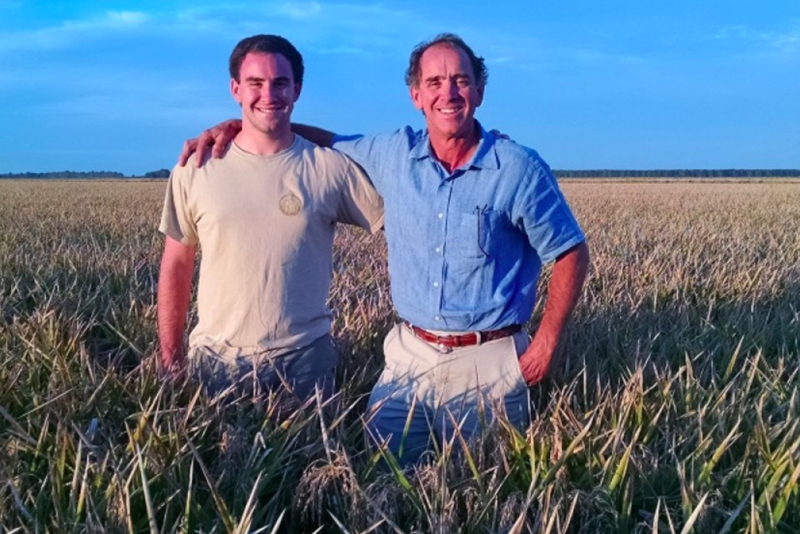 This 10th generation family-run farm is located on the Mississippi Delta, and dedicated to growing high quality rice while respecting the land. 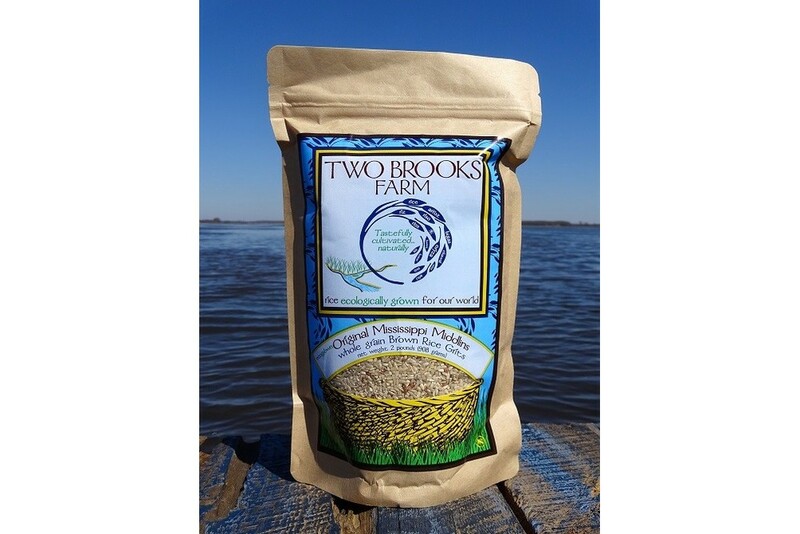 In small-batch fashion, each kernel of rice from Two Brooks Farm is planted, cultivated, ripened, threshed and winnowed, milled, and packaged on the property before making it to your kitchen. It's thoughtfully produced, and in turn one of the highest of quality one can find in the days of mass production and industrial food. The Wagner family - the 10th of a long generation of farming - not only know rice, but also the land it grows from. Residing on the Mississippi Delta, the growing environment is particularly unique from soil to water, and the Wagners take great strides to keep it that way, aiming to produce rice while making the smallest ecological, carbon and water footprint in the process. 1) Two Brooks is run by a tenth generation family-run farm. What continues to drive your passion for rice and agriculture? Our passion for rice is driven by several truths, the primary one being that rice literally supplies 20% of humanity's calories. We are happy to be an integral part of a food chain that is so important to so many people and cultures, in myriads of preparations that delight the poorest and wealthiest among us. With a glance at the past and the future of rice production, we know that we must be better stewards of the increasingly limited resources on this planet that are to be shared with an increasingly expanding population. 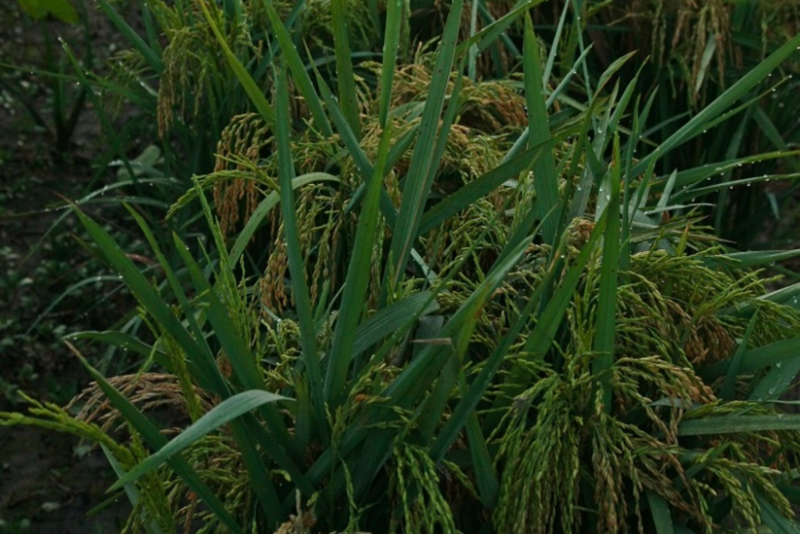 We engage daily with the need to grow the tastiest, healthiest rice one can source while using the fewest natural resources possible, and we enjoy the challenge! On our farm we strive to serve our ecosystem, environment, and mankind in a mutually beneficial growing system, and this gives us purpose that we believe is fundamentally important for our planet and our families. 2) What makes farming and living in the Mississippi Delta special? We enjoy farming some of the world's richest land while living in one of the world's richest cultures. Some of our Delta land was cleared from cane brakes and elevated swampland 150 years ago, and the agricultural based economy built on this unique landscape has supported a variety of cultures and nationalities that coexist here to this day. We think it is the friendliest, most cohesive cultural melting pot in the world, and its essential ingredient is the rich land that holds these families together. 3) How do make sure that your rice is grown in the most sustainable and ecologically responsible way? Our family has farmed for 276 consecutive years in the US, and migrated throughout the South in search of better fortune. Upon reflection on this fact, we realized that years ago that they, like many others, likely didn't use the best management practices and wore their land thin. Today we realize we must be the best possible stewards of our soil, water, air, and wildlife--all very limited resources. Our method of eco-growing your rice is focused on nurturing each. Our perfectly flat land uses a minimal amount of water, and a large part of that is rainwater. Any discharge is filtered through the rice and is much clearer than conventionally farmed rice, free of soil siltation, excessive nutrients, and pesticides. 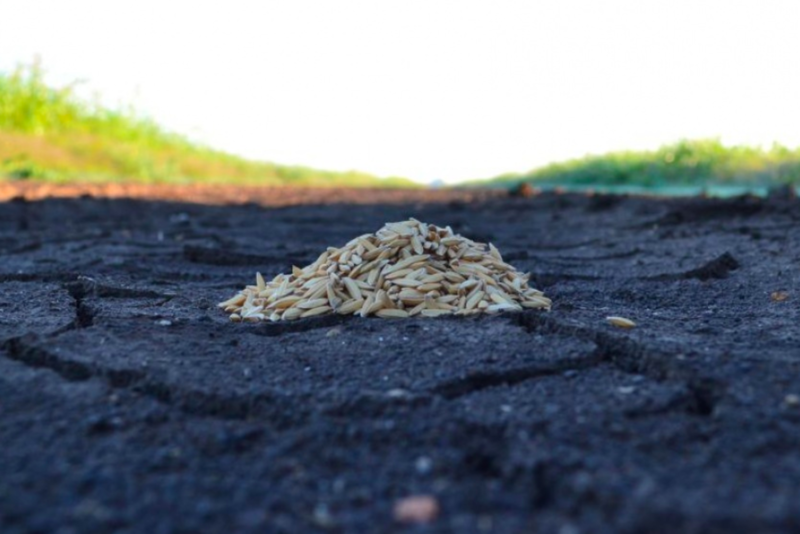 Nearly all our rice is grown with no tillage, greatly enhancing carbon sequestration while building organic matter to levels that viably support microbiotic lifeforms. These lifeforms in turn feed a food chain that include an array of amphibians, mammals, and birds, including migrating ducks and geese. In turn, these ducks and geese feed on weed seed, lost rice seed, and some of the soil bound lifeforms while stomping down the previous crop's rice stubble into a mulch so that we dont have to perform tillage operations. It is a very integrated system that couldn't be possible if any of the components were excluded. It is a complete food chain that includes providing human food in a way we think is a step beyond sustainable. 4) You offer several varieties of rice (and rice middlins!). Do you have a favorite one? What is your favorite way to enjoy it? Most of the rice we grow possesses more "healthy" starches, ones that are slower to digest. We love the brown middlins for their unique springy texture on the tooth, and they carry flavors exceptionally well (as do the white middlins). A favorite is the brown Missimati Bayou Bouquet, with its inherently strong "popcorny" aroma. It forms the base for a variety of cold or room temperature salads we enjoy. Look for Two Brooks rice to be featured on our Menu!